An AMA Waterways cruise is more than just a river cruise, it’s an adventure. Their fleet of Douro cruise ship vessels allow you to discover Portugal’s enchanting towns and mosaic villages in pure luxury and comfort. This year, if you book by 30th April you can Fly for Free from selected airports + save 25% off selected sailings! 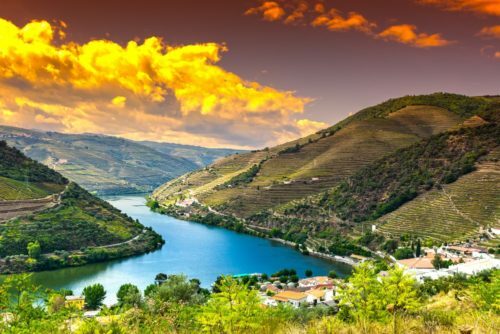 Rambling vineyards and charming native farms cling to the steep sides of the Douro River Valley, creating an incomparable backdrop to one of Europe’s most unspoiled regions and to Port country— the world’s oldest demarcated wine region. Sail roundtrip from Porto, the beautiful “City of Bridges”; visit Barca d’Alval the last Portuguese village along the Douro; and marvel at Salamanca, the UNESCO-designated “Golden City.” Taste wines from historic wineries and soak up the genuine beauty of one of Europe’s most unadulterated landscapes. Book this Douro river cruise today with award-winning Aspen Travel. Fill out the form on this page or contact us via the details below. Terms & Conditions: Fares are per person based on double occupancy of the lead Category, unless otherwise stated, and include cruise, port charges, return flights and standard transfers (between airport and ship). Flavours of Portugal & Spain itineraries also include 3 nights in Madrid, which must be purchased to receive free flights & transfers. ‘Fly for Free’ in 2019 applies only to the sailings shown and includes flights from London Heathrow, London Gatwick, Birmingham or Manchester only. 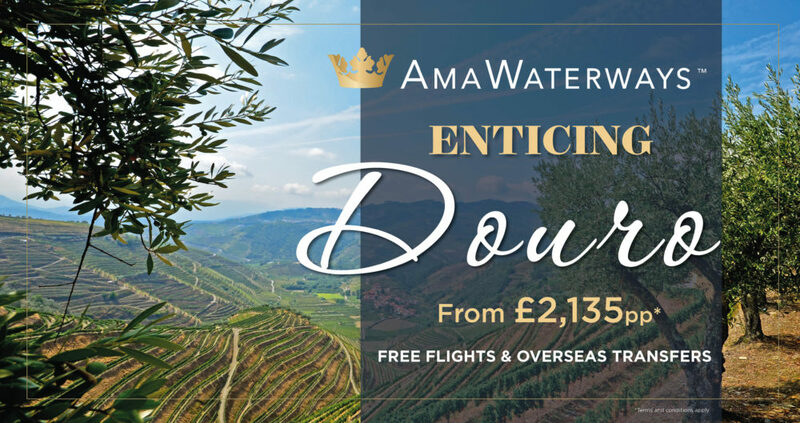 Flight schedules and airlines are fully at the discretion of AmaWaterways and will be confirmed at the time of booking. Supplements may apply for alternative airlines or flight schedules. Cancellations are subject to full loss of deposit (£270 per person) once flights have been confirmed. Fares and offers are subject to availability and may be changed or withdrawn at any time. Offers are valid on new bookings only made between 8 April 2019 and 30 April 2019. Terms & conditions apply.